1-2: © Mars Muusse, 28-07-05; 3-5: © Ruud Altenburg, 06-08-05; 6: © Mars Muusse, 06-08-05; 7: © Ruud Altenburg, 02-09-05. Amsterdam, Netherlands. 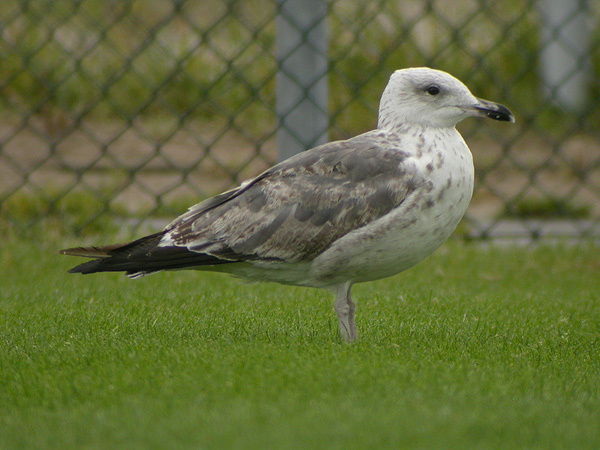 In many aspects, this bird is comparable to the previous candidate. 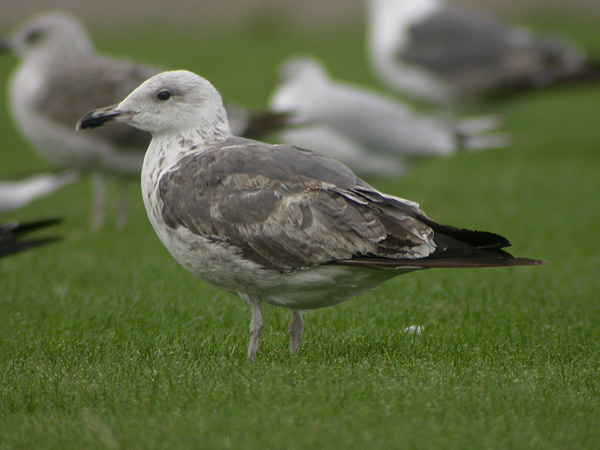 Very pale (compare to the 2cy Lesser Black-backed Gull and Herring Gulls in 1) and even more advanced. 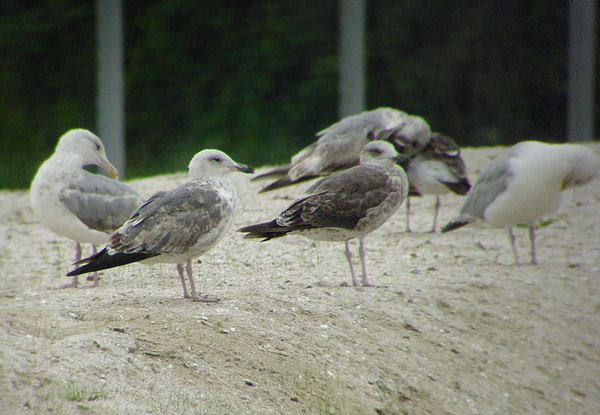 By the beginning of August, P1-2 in right wing already are pale grey third generation feathers, P3 is growing, P4 missing and P5-10 second generation. Note that the second generation P10 has a miniscule mirror, also found in this Russian heuglini. 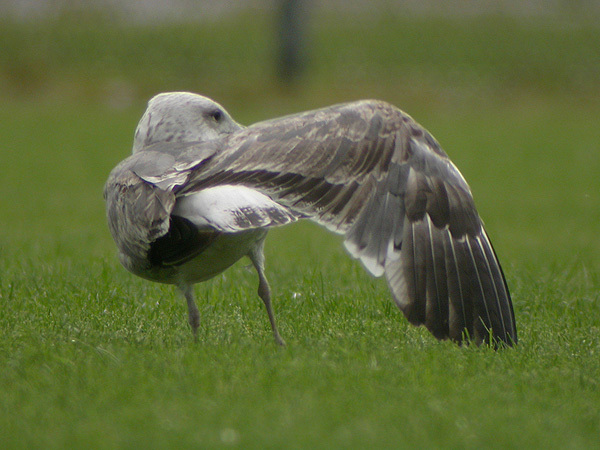 Moult in left wing was more difficult to assess, but clearly P10 was still juvenile. Video footage shot three weeks later revealed that P10 in the left wing had been dropped and P9 had reached the length of P7; P1 seemed to be missing. 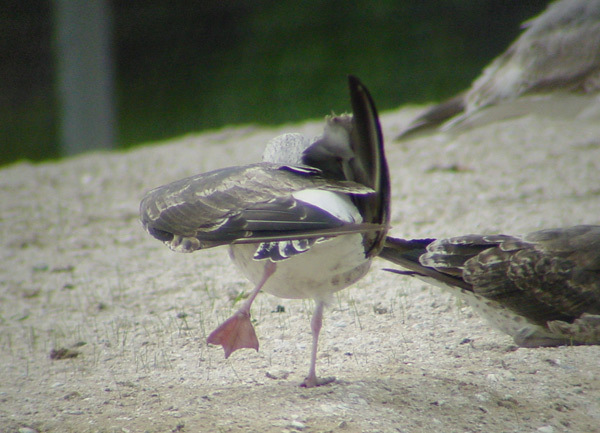 If so, this bird was simultaneously replacing its outer primaries to second generation feathers and its inner primaries to third generation feathers. 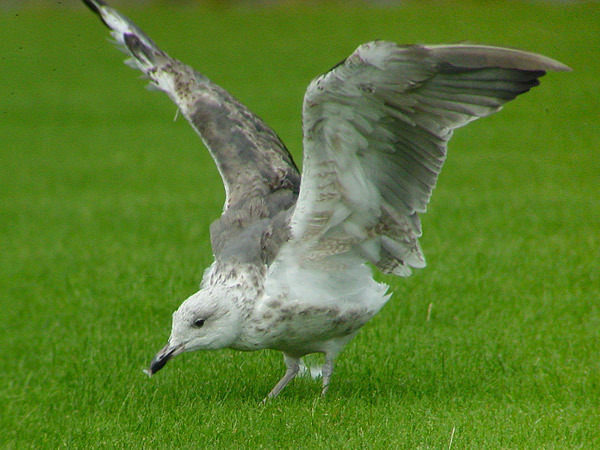 For more pictures and information about this bird, please see Ruud Altenburg's site. 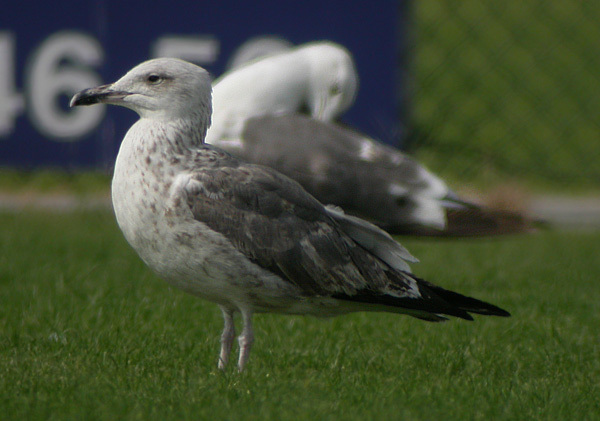 If you have photographs of a ringed 2cy Lesser Black-backed Gull similar to this bird, please contact the authors.